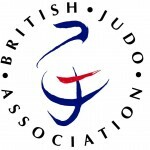 Police Sport UK Judo (PSUK) and the Welsh Judo Association (WJA) held their joint National Technical and Coaching Revalidation Course at the Sport Wales National Centre, Cardiff. The three days were lead by Chris Hunt 7th Dan, PSUK Director of Coaching with guest coach Loretta Cusack Doyle 8th Dan, a former World and European Champion, saw a variety of judo on offer to the delegates made up of 16 Forces judoka, 27 English, Welsh, Scottish and Northern Ireland clubs, the Royal Navy Judo team and Dutch Police national team. 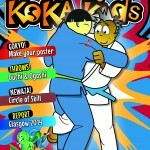 Friday evening started the weekend with 82 Dan grades participating in a mass randori. The standard of judo was exceptionally with everyone making the most of the opportunity to practise with a wide variety of judoka. Saturday saw 136 judoka, 80 of which were coaches participating in the coaching revalidation sessions lead by Loretta covering kumi kata, kuzushi, and uchi comi movements leading onto the use of ashi waza in competition. Special thanks must go to Loretta whose top class instruction, enthusiasm and willingness to share her extensive knowledge and experience was fully appreciated by all. Saturday afternoon saw the Dutch Police national team under the leadership of their Coach Claudia Zwiers 6th Dan Olympic bronze medallist in Atlanta compete against the British Police team with the Dutch avenging their defeat of 2018 with a four to two win.